ProChain (PRA) current price is $0.0249. ProChain (PRA) current price is $0.0249 with a marketcap of $1.24 M. Its price is -2.39% down in last 24 hours. It would be great if you guys could tweet this! 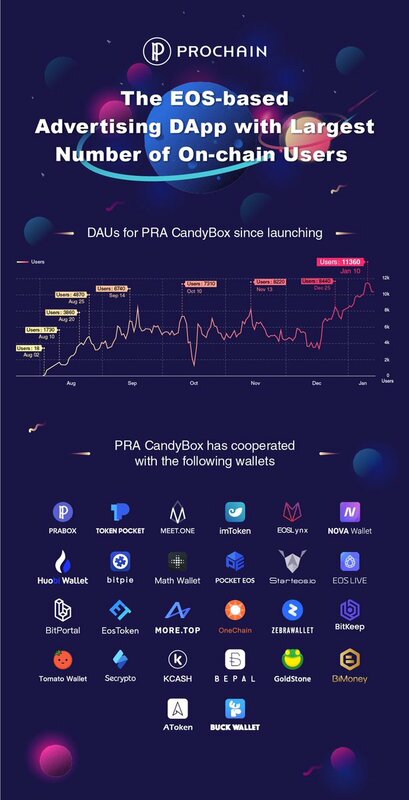 #EOS PRA CandyBox has become the first EOS-based advertising DApp with 10,000+ REAL EOS-DAUs and the largest number of on-chain users. It has served 20+ EOS projects and launched in 26 wallets!